Shell Nigeria Gas has re-trained 30 firefighters in Abia State and donated firefighting equipment to the state fire service. This intervention was triggered by two recent fire disasters in the state which resulted in deaths and loss of property worth millions of naira. Over 150 shops in the timber and furniture section of the Nkwo Ngwa Market in Aba was gutted by fire mid-November barely five weeks after an explosionon a pipeline belonging to the Nigeria National Petroleum Corporation (NNPC) in Umuaduru and Umuimo communities of the state killed a number of persons. SNG intervention, according the company’s Managing Director, Ed Ubong, was to demonstrate the company’s continued care for the people and support to Nigerians particularly those in the company’s areas of operations. “Some of these disasters are either avoidable or preventable. The major gaps are in training and equipment, hence our quick response to retrain the firefighters and provide them with modern equipment to support their operations,” Ubong said, adding that SNG would strengthen its gas distribution network in the Abia State to help in its rapid industrialisation. The equipment donated included tunics and personal protective equipment (PPE). 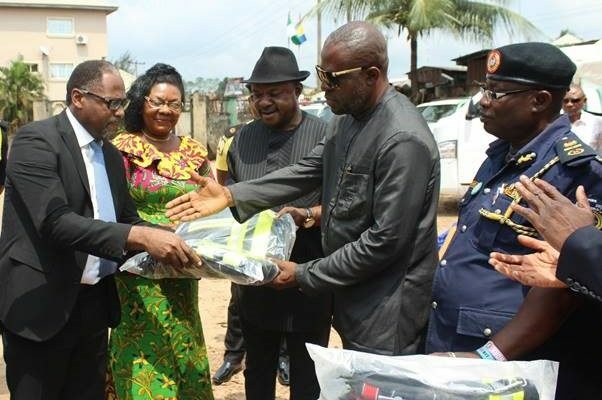 The state’s Commissioner for Transport, Charles Chinedum Elechi, received the items with a commitment that the state would improve on its safety record in a manner that would promote industrialisation and development. Speaking at the donation, the state’s Fire Service Comptroller, Victor Gbaruko, described the training of his personnel particularly in hydrocarbon firefighting, as an investment worthy of emulation by other big players in the economy of the state. The 20-year old SNG is fully owned by Shell and is the first gas distribution company run by any oil major in Nigeria. SNG’s extensive gas distribution network in Abia, Ogun and Rivers States has boosted manufacturing output and helped these states to grow their internally generated revenues while providing local employment opportunities. In 2017, SNG executed a Memorandum of Understanding with the Rivers State Government for the distribution of gas to industries in the Greater Port Harcourt area and its environs. The agreement provided further opportunities for SNG to promote gas as a more reliable, cleaner and cost-effective alternative to liquid fuels in Nigeria. SNG has built a reputation for safety and credibility and is the only gas distribution company in Nigeria whose facility is ISO 14001 certified. The company has implemented various development projects in the areas of its operations, donating or renovating schools, providing information communications technology (ICT) centre, equipping science laboratories and launching numerous Road Safety Education and Awareness campaigns in 2016 and 2017. 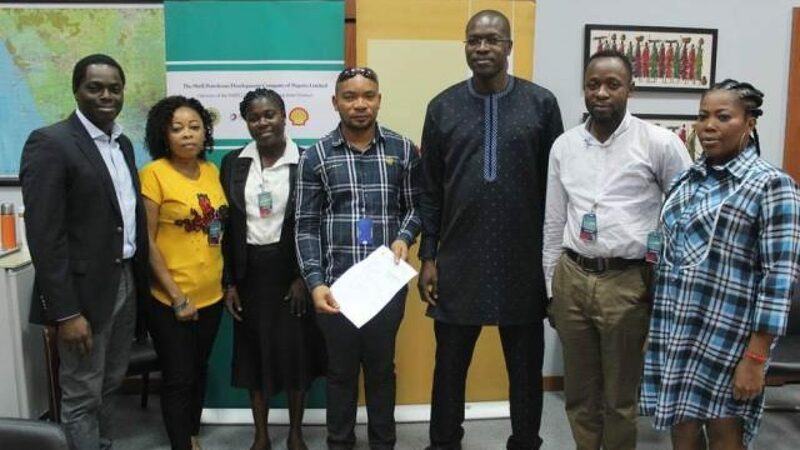 Apr 14, 2019: No fewer than 12 young entrepreneurs from host communities to the Bonny Oil and Gas Terminal in Rivers State have benefitted from a N150 million capacity development and empowerment programme by The Shell Petroleum Development Company of Nigeria Limited (SPDC). SPDC’s General Manager, External Relations, Igo Weli, who handed over the service entry and final settlement to the beneficiaries in Port Harcourt described the initiative as a product of continuous effort by SPDC and its joint venture partners to empower youths, promote Nigerian content and support community participation in Nigeria’s oil and gas value chain. Weli commended the beneficiaries for their industry and determination to champion entrepreneurial rebirth among youths on Bonny Island. He encouraged the beneficiaries to always keep an optimistic business mindset and to translate the opportunities into further empowering others. The capacity development initiative included one-year vocational training, and obtaining Level 1 City and Guilds certification. The beneficiaries also received equipment and materials worth over N50million in addition to start-up grants. This initiative is in addition to SPDC’s 16-year-old Shell LiveWIRE, a flagship enterprise development programme designed to help young people explore the option of starting their own business as a real and viable career option. It provides training, finance, and business mentorship for young entrepreneurs. Launched in Nigeria in 2003, Shell LiveWIRE has produced thousands of Niger Delta entrepreneurs most of whom are now employers of labour. Some of the beneficiaries are also given the opportunity to play in SPDC’s supply chain as vendors and are provided with access to growth capital. 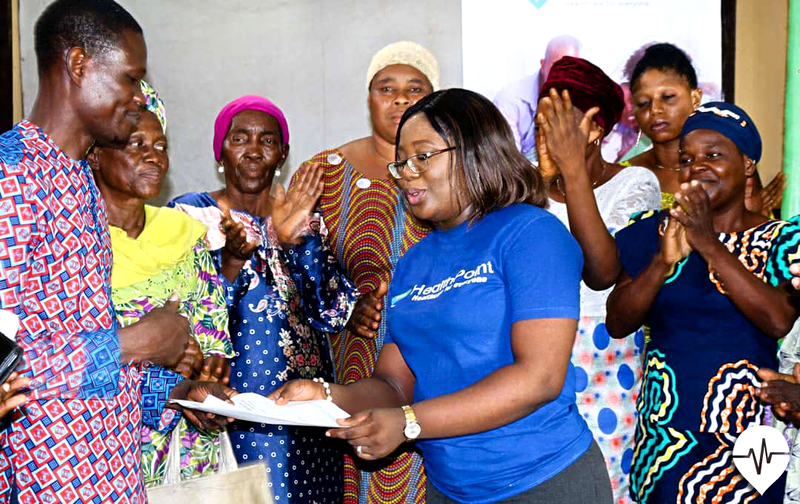 As part of its vision to promote health care inclusion for all in Nigeria and Africa as a whole, Healthpoint has commenced its free health insurance cover for widows, orphans and the less privileged in Nigeria. Healthpoint is Nigeria’s first on-demand health plan retailer providing health insurance plans at an affordable rate using the monthly subscriptions model. The exercise which took place recently is one of the startup’s efforts to promote health inclusion, redress health and social inequalities in the country by providing affordable and effective health intervention for the underserved and marginalized population in Nigeria and beyond. This year’s beneficiaries sprang from four orphanages; vulnerable children care homes as well as widows in Nigeria. The free health insurance which covers a period of one year will cater for the medical consultations, treatments, tests, prescriptions and drugs of the beneficiaries. Speaking at the event, the Chief Executive Officer, Mrs. Kemi Ayinde stated that the exercise is part of its mission to ensure that everyone in spite of their pocket size is able access proper health care and medical attention when needed. The startup which is only a few months old provides healthcare solutions right at your fingertips for as low as ₦800 monthly. The Healthpoint app also offers various unique health services like the Doctor-on-Call Service that allows subscribers contact medical specialist for quick consultations, book appointment and follow-ups from anywhere around the world. With just six months gone since its establishment, Healthpoint is leading the campaign to promote Health inclusiveness and implement innovative health finance solutions that accommodates everyone from all social levels in Nigeria and Africa as a whole. MAPUTO, Mozambique — Both companies supporting relief efforts in the most affected locations; Employees also providing support by donating necessities. MAPUTO, Mozambique, March 27, 2019/ — Both companies supporting relief efforts in the most affected locations; Employees also providing support by donating necessities. Baker Hughes, a GE company (NYSE: BHGE) (BHGE.com) announced today its donation of $50,000 to the ongoing disaster relief efforts in Mozambique, in the wake of Cyclone Idai, which devastated large parts of Mozambique, Zimbabwe and Malawi on March 14, 2019. The donated sum made to Red Cross Mozambique, will support relief and victim support expenses such as food, water, shelter, medical supplies and other essentials. Likewise, employees have made individual contributions of funds and essentials to support ongoing relief efforts. BHGE has operated in Mozambique since 2014 with offices in Maputo and Pemba. Through the extensive supply chains, the company, directly and indirectly, employs several Mozambicans. Also, as champions of localization, BHGE invests heavily in the empowerment, skills development and transfer across multiple economic sectors.